A veteran regional reporter turned author has published a new book celebrating the lives of unsung heroes in Scotland. 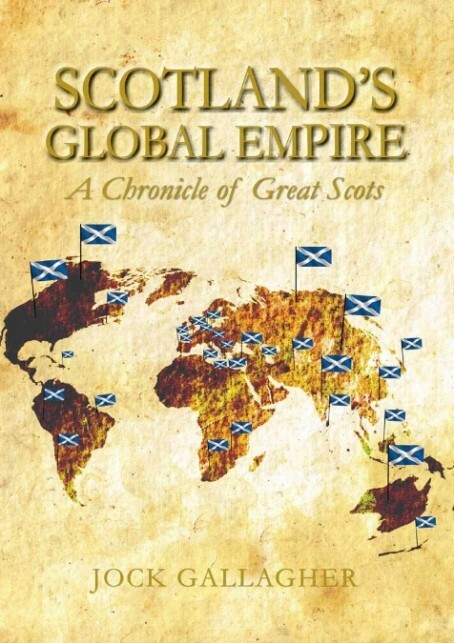 Jock Gallagher, 75, left, who spent 54 years as a journalist, has compiled a list of stories marking the achievements of his fellow countrymen in his new book, Scotland’s Global Empire: A Chronicle of Great Scots. Among those featured include two brothers who were awarded the Victoria Cross – the highest military decoration awarded to British soldiers for valour in the face of the enemy. He also tells the story of Major William Babtie, a Dumbarton man who was also awarded the Victoria Cross for his bravery in assisting wounded soldiers while under fire in the battle of Colenso in 1899 during the Boer War. 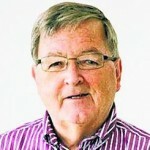 Jock, who first joined the old West Midlands Press in 1958, spent his early reporting career on the Sutton Coldfield News and Birmingham Post & Mail Group. He said faded cuttings from hundreds of local papers and the shorthand in his reporter’s notebooks formed the basis and background to the book. “The book is 450 pages and a quarter of a million words and took more than five years to put together,” he told HTFP. Jock, who also worked for the BBC, told the Dumbarton Reporter that he had an interest in Scottish pioneers throughout his long career. “Though I knew Scots had punched above their weight it wasn’t until I put this into one book that I realised how powerful it was and how well Scots had performed right across the globe in areas of leadership and discovery,” he told the paper. “It’s a typical reporter’s piece doing lots of little colourful stories — it’s pure journalism — I don’t pretend to be a writer. “It’s a reporter’s notebook — it just happens to be over 200 years.I kept old newspaper cuttings, read books, so I had a whole mass of this material and I just decided it ought to be put into some sort of order and the logical thing to do was to put it into a book. “The book was really a reaction to living in England, you become more fervently patriotic the longer you’re away from Scotland. The book is available from Amazon and is also on Kindle. More reporters need to get their work into book form. It’s a shame for so much knowledge, experience and skill to lie a’mouldering in old newspaper files and notebooks. With new technology, it’s no longer necessary for skilled writers – and all professional journalists are skilled to some extent – to run the gauntlet of unscrupulous trade publishers, who mess up people’s work and pay them peanuts. Good on yer, Jock! I hope the book sells well. I couldn’t agree more. The fascinating information a good reporter hoovers up in a career is pure gold dust. Most of us never get the time to put it into book form. I had to wait until I was long past retirement! Scotland’s Global Empire is just a collection of very short pieces out of my notebook and cuttings file. There are dozens of characters who deserve a book in themselves…maybe one day I’ll shimmy past the shyster publishers and produce another. If anyone out there is interested, there are dozens of Great War heroics ideal for next year’s hundredth anniversary. Thanks for the good wishes: the book is selling moderately well and goes to the US in the Spring. One grumble, could whoever is editing/writing this website STOP using the word ‘pens’ as a replacement for ‘writes’. Any trainee would be blasted for this so it doesn’t look good on an industry website.